is a little town ( 100 000 inhabitants ) in the extreme North of Madagascar. The principal activities are agriculture, sea salt exploitation, tuna fishing & tourism. The name : Diego Suarez comes from an amalgamation of the names of two Portuguese sailors : Diego Diaz, who first landed on Madagascar in August 1500, and Hernan Soarez, who arrived six years later ( in 1506 ). Diego Suarez or " Antsiranana " = the port, was a good strategic spot since 1884. The French established a naval base here in the late 19th century ( until 1973 ). Today Antsiranana is an important harbour. There are some beautiful bays there, such as Ramena bay, Sakalava bay, Dunes bay & the emerald sea. Talking about tourism, the highlights are the Amber Mountain National Parc with its waterfalls & the Tsingy of Ankarana ( limestone formations ) with its caves and grottoes. Is at 110 Kms at the South of Diégo Suarez and between 50 et 409 m of altitude. The weather is hot & dry ( 1890 mm/year of rain ). When you knock this rock, you can hear : [Tsi:n], it's the reason of its name : the " Tsingy ". This rock formation has begun 200 million years ago ; so it's a jurassic calcareous rock formation. For more informations, click on the Tsingy of Bemaraha. You can find the same Amber Mountain mammals, lemurs & reptiles there ( see below ). They live in dry forests. But you will see other kinds of birds such as Madagascar pygmy kingfisher Ispidina madagascariensis, Crested coua Coua cristata, Malagasy scops-owl Otus rutilus, Collared nightjar Caprimulgus enarratus, Madagascar nightjar Caprimulgus madagascariensis, Stonechat Saxicola torquata, Madagascar cisticola Cisticola cherina, Madagascar partridge Margaroperdrix madagascariensis, Madagascar crested ibis Lophotibis cristata, Madagascar blue pigeon Alectroenas madagascariensis, etc. 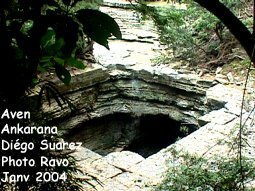 Things to see : an extensive cave system which includes fascinating bat-filled grottoes ( one of the longest cave system in Africa - more than 110 Kms ), green lakes, superb stalactites, stalagmites & other formations and the pot-hole of Mahamasina ( a big hole in rock worn away by water at the East part of Ankarana Reserve ). Is at 35 Kms from Diégo Suarez ( 1700 mm/year of rain ), with altitude between 800 and 1475 m and with 3585 mm/year of rain ( one of the rainiest region of Madagascar ). The weather is hot around the mountain, but cool inside. It's a microclimate created by the Tsaratanana massif. So, the Amber Mountain gives water to the whole region. A paradise for birdwatchers, you can find in this tropical forest a lot of birds such as Malagasy kingfisher Alcedo vintsioides, Madagascar blue pigeon Alectroenas madagascariensis, Madagascar paradise flycatcher Tersiphone mutata or Souimanga sunbird Nectarinia souimanga etc. You can find too reptiles ( such as Madagascar tree boa Sanzinia madagascariensis, chameleons Brookesia sp. & Furcifer sp., leaf-tailed geckos Uroplatus fimbriatus, and other geckos such as Phelsuma madagascariensis grandis ), lemurs ( Sanfordi brown lemur Eulemur fulvus sanfordi, Crowned lemur Eulemur coronatus, etc ) & little carnivorous ( Ringtailed mongoose Galidia elegans or the " fosa " Cryptoprocta ferox ). This prominent volcanic massif has 5 lakes of crater, some waterfalls & streams and viewpoints. Finally, always in this northern Madagascar, we advise you to rest at Ankify before to continue to Nosy Be ( another pleasant-looking region with numerous offshore islands & islets ). 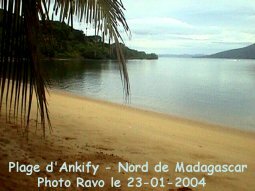 Because Ankify is not only a little port for boats & ferries between the Malagasy coast and Nosy Be, but Ankify is too a quiet abandoned beach with a not rough sea. Ankify lies at 250 Kms south from Antsiranana = Diego Suarez. This itinerary travels to the northern point of the island to discover forests, waterfalls, lakes, caves, beaches, lemurs and the very special Tsingy of Ankarana. Is based in northern part of Madagascar, around Diego Suarez. They are peasants and fishermen. They grow rice and breed zebus ( oxen with a hump ) and most of them are Muslims ( descendants of Arabic sailors, African & Indian traders ), the others practise the religion of the ancestors with its traditional rites. The name " Antakarana " means " Those from the Cliffs ". That means, those from the high rock of the Tsingy. Historians say that the Antakarana were, a long time ago, Sakalava people. One of their chief has leaded them from the north-west to the north Madagascar. Do you want to visit another world ? I suggest you Madagascar and its nature, its people, its Parks and Nature Reserves. 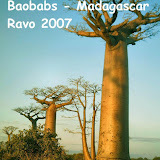 Madagascar, the kingdom of lemurs, the kingdom of baobabs and the kingdom of chameleons. With our experiences since ... 1993, we will give you excellent advice. To organise your trip and to guide you to make your trip pleasing and unforgetable. Thank's alot for your trust. 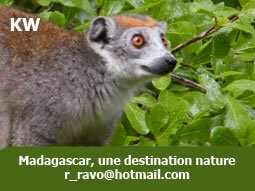 Madagascar is becoming a new destination for ecological tour lovers, for discovery tour lovers & for trekking tour lovers. The north is home to the Antakarana people. They follow many ancient traditions, their ancestors playing a central role in their society. An air of mystery is created by their traditional ceremonies and in their sacred areas which house the spirits of the ancestral princes. In the far north, Diego Suarez ( also known as Antsiranana ) is situated in a picturesque bay, encircled by hills. The changes in climate there create many varieties of flora and fauna, making this region particularly interesting to botanists and naturalists.